Olá a todos! That's Portugese for hello everyone. 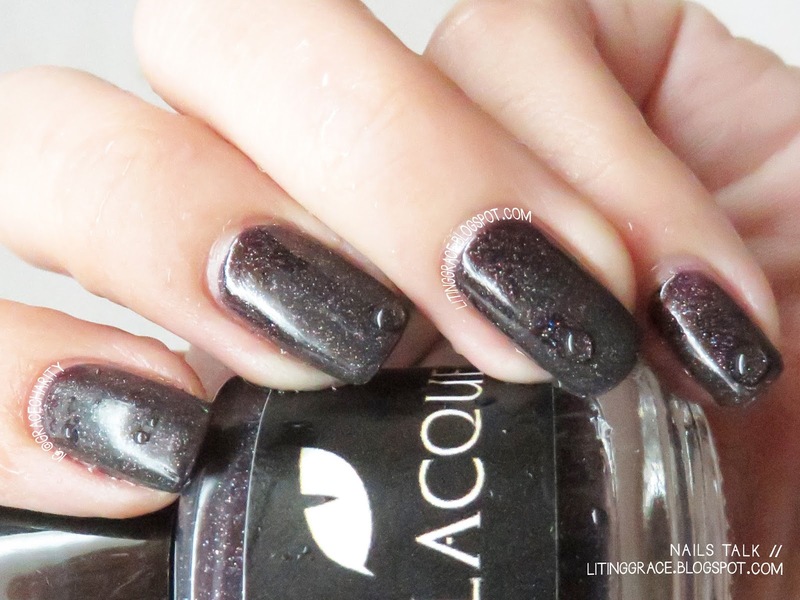 I'm happy to present another 2 stunning thermal polishes from Black Cat Lacquer today. 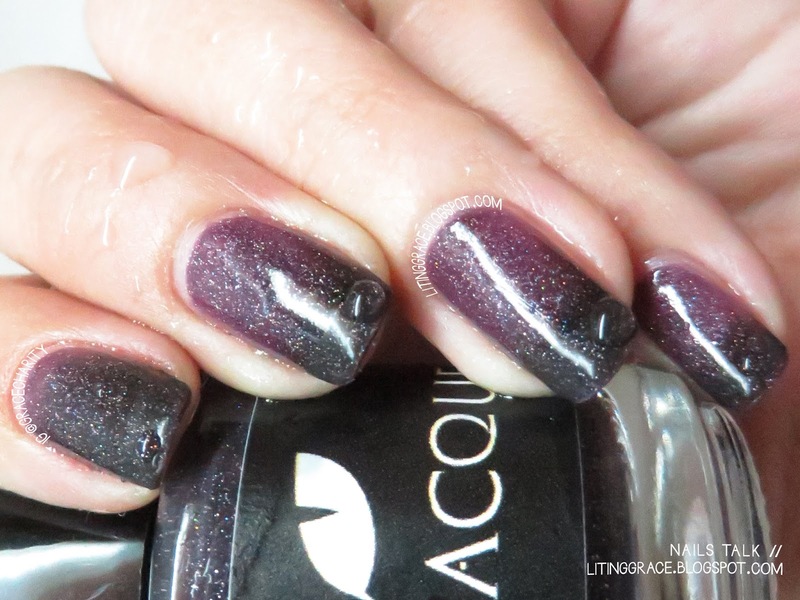 I'm now on a mission to collect her thermal polishes ever since I tried Poison Apple (reviewed here). 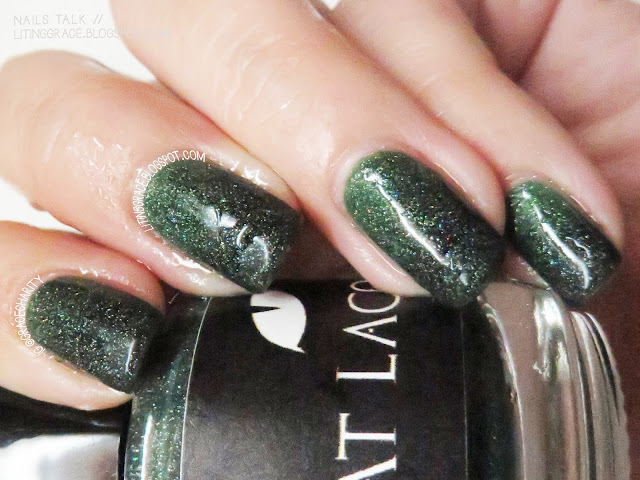 Evergreen is a vibrant shade of green when it's warm, changes to dark green when it's cold and comes with a sprinkle of holo dust. 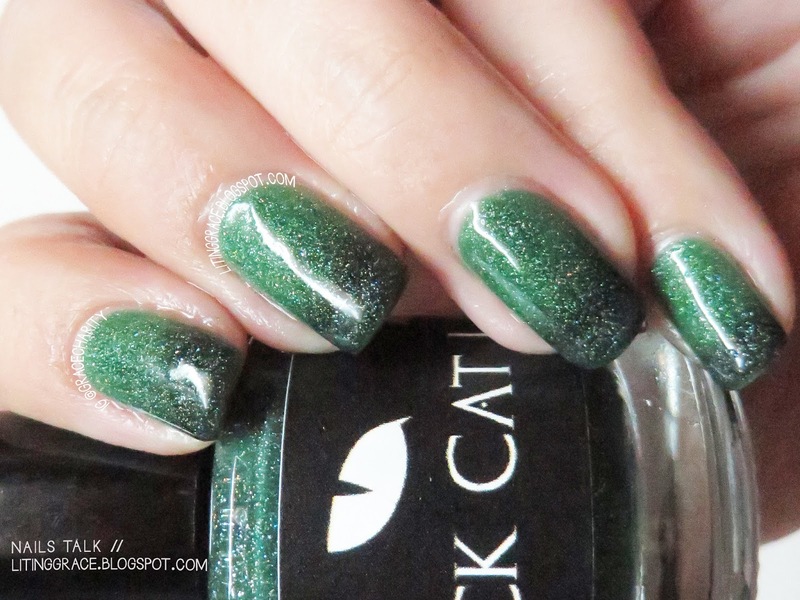 I rarely wear green polish but I had this on for a week! Not forgetting the number of compliments I received. Spot the sparkle from the holo dust! Up next is Magic Spell! A scattered holo thermal polish, Magic Spell changes from purple (warm) to a dark purple (cold). Shown above is how it looks when it's warm. Transitioning from warm to cold. Have you managed to guess what scent it has judging by it's color? A sweet berry scent! This scent is definitely my favorite! Black Cat Lacquer is available at her store here and also at Mei Mei's Signatures. I believe both Evergreen and Magic Spell is currently out of stock on Mei Mei's Signatures so do follow her on Instagram and Facebook for updates on the restock.